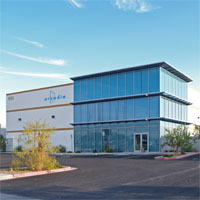 Diablo Industrial Park is a multi-building master planned warehouse/office building providing warehouse and office space for a variety of uses. This project is designed with concrete tilt-up wall panels and a MR24 Butler Building Roofing system. 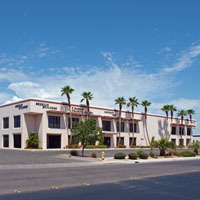 Home to Breslin Builders, this two-story multi-tenant office project provided office and warehouse facilities. 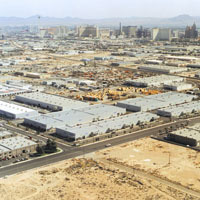 Designed by Breslin Builders Design Group, and with tilt-up concrete walls and a wood panelized roof system, this building contains 30,000 square feet. 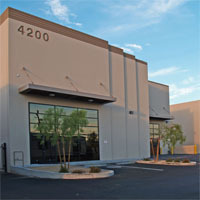 This single tenant office/warehouse building provides much needed warehouse space for a growing electrical supply company in Las Vegas, Nevada. Working with the owner, this project incorporates many energy saving features including a sophisticated warehouse lighting system that works in conjunction with the overhead skylights, adjusting the light output based on the amount of day lighting provided. Designed by Breslin Builders Design Group, and with tilt-up concrete walls and a wood panelized roof system, this building contains 28,000 square feet, maximizing the site area. 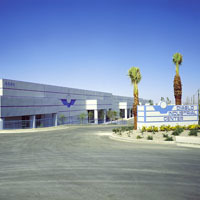 This two-story warehouse building was completed for a local aluminum storefront supply company, Arcadia Nevada. 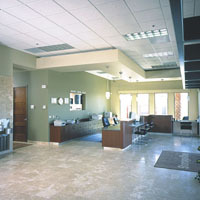 Designed to house their local offices in the front of the building and manufacturing facilities in the rear warehouse area, Breslin Builders Design Group worked closely with the owner’s representative to ensure the building layout would work with the equipment and processes used in the fabrication of the store front systems. 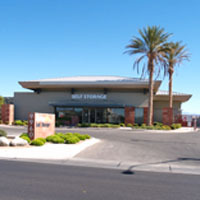 Designed by Breslin Builders Design Group, and with tilt-up concrete walls and a wood panelized roof system, this building contains 18,000 square feet and incorporated Arcadia’s store front product including their sun shade awning system.